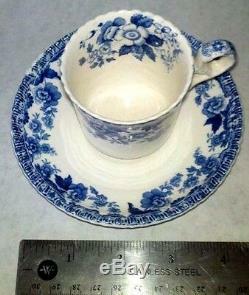 Antique Copeland Spode England Demitasse cup and saucer #Demitasse #1779 #Spode #Copeland Dimensions: Approximately: Saucer 4 1/2" around by 3/4" High. 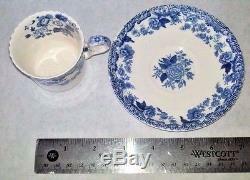 Cup is 3 1/4 " wide from Handle to girth and approximately 2 1/4" high by 2 1/4 wide rim to rim. Condition: As is picture no visible cracks looks as is customary for an item of this age. 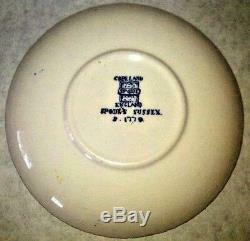 Has neatly curvy edges on the cup lip and edge of saucer. 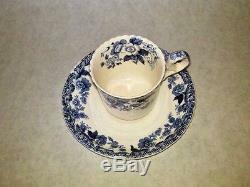 Exquisite set of an Antique cup and saucer from W. Thank you kindly for your business. To insure you receive your item as described we take extra time and care as these items are very fragile. Please contact me before leaving feedback if there is a problem as this very rarely occurs and we will always work with you. 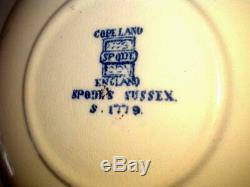 The item "Antique Copeland Spode England Demitasse cup and saucer says S 1779 on bottom" is in sale since Monday, January 17, 2011. 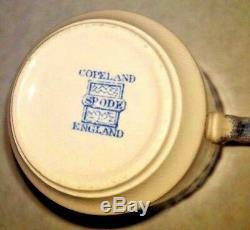 This item is in the category "Pottery & Glass\Pottery & China\China & Dinnerware\Copeland". The seller is "fuzziestdawg" and is located in Derby, Connecticut. This item can be shipped worldwide.